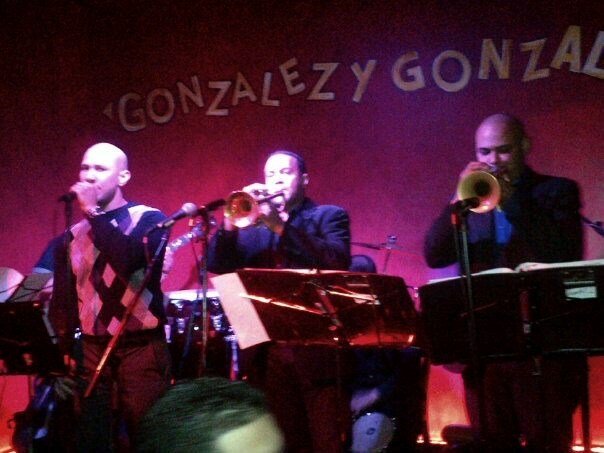 LA SONORA NUYORKINA is a contemporary salsa band. Our members are young talented musicians who bring a fresh sound to the latin genres. Our repertoire goes from all time classics to the most popular hits today, to our own original material. 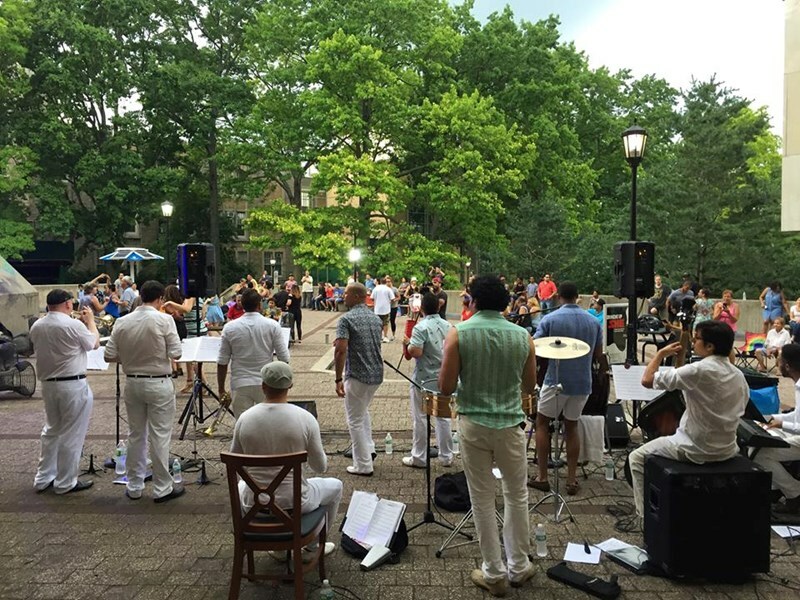 We have played at the best latin clubs and concert Venues in NY, such as Iguana Lounge, Copacabana, Gonzalez Y Gonzalez, SOBs, Lehman College Dancing under the stars summer concert series and others. Trumpeter and salsa dancer Wilson Portuondo founded La Sonora Nuyorkina in 2010. 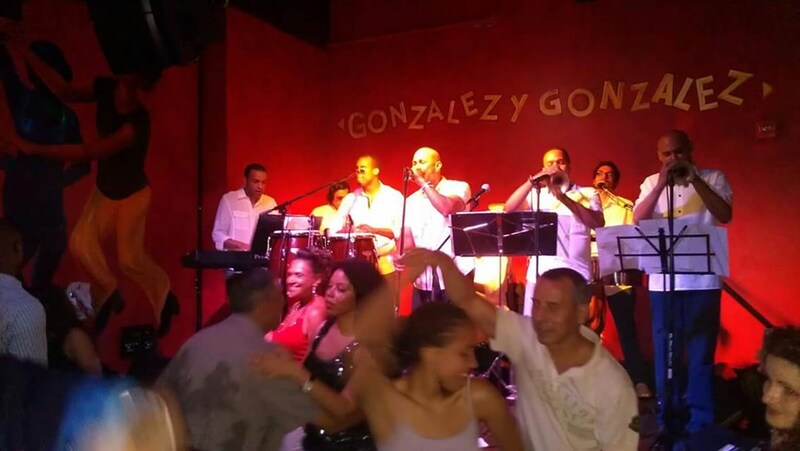 One night while dancing, Wilson felt inspired to create a salsa band to cater to the growing diverse dance community, by bringing innovative arrangements and quality music to the dance scene. The members of La Sonora come from different parts of Latin America and North America: the Dominican Republic, Cuba, Puerto Rico, Nicaragua, Venezuela, and Ecuador, as well as the United States. Each musician brings their unique taste, talent, and experience to give La Sonora its vibrant sound. This combination of our talented and diverse musicians, plus our new arrangements, has worked tremendously. We can see in every one of our shows how much the people enjoy listening to La Sonora Nuyorkina, and we can feel how much they enjoy dancing to our music. We provide entertainment not just to nightclubs, we cater to private event such as Birthday Parties,Weddings, Bar Mitzvah and any social event. On top of La Sonora Nuyorkina being a Salsa band we also covert any style of latin genre like Latin jazz,Salsa,Merengue and Bachata. The band can be flexible in style and band size to fit your particular need. Please note La Sonora Nuyorkina will also travel to Long Island City, Brooklyn, North Bergen, Bronx, West New York, Union City, Weehawken, Flushing, Fairview, Edgewater, Hoboken, Jersey City, Ridgefield, Cliffside Park, Palisades Park, Fort Lee, Secaucus, Ridgefield Park, Leonia, Englewood Cliffs.